Good morning! Very excited this morning to be joining Altenew for a blog hop to celebrate their brand new stencil release! You can find the ENTIRE NEW RELEASE HERE! 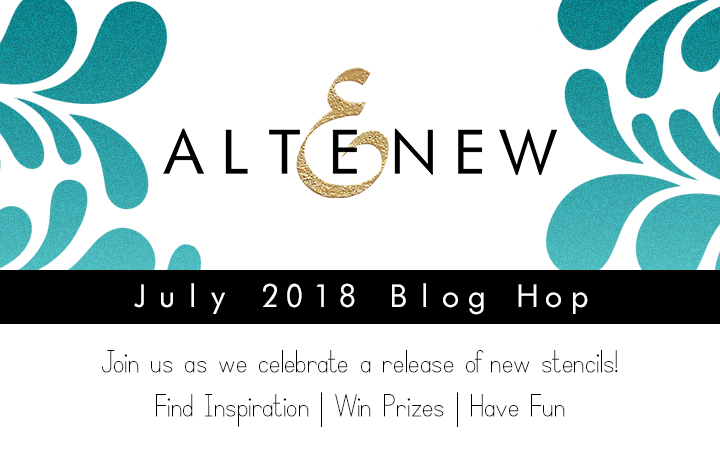 There are lots of prizes up for grabs, and Altenew has provided a separate giveaway for one of my readers! Woohoo! 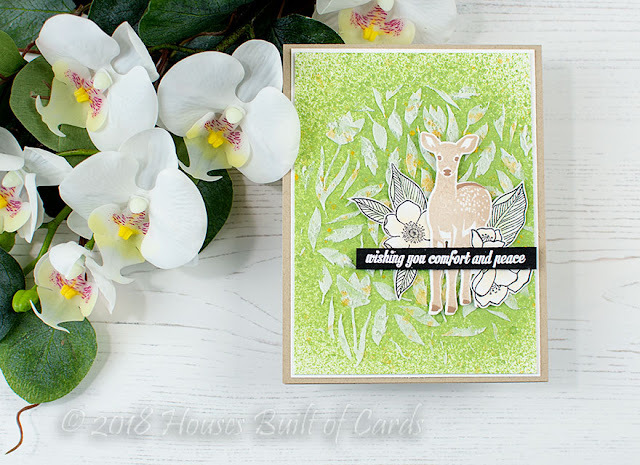 You should have arrived here from Norine Borys - if not, feel free to hop on back to the Altenew Card Blog to start at the beginning so you don't miss a bit of the fun inspiration and prizes up for grabs! I have a total of four cards to share - so lets start off with this one using the new Spring Garden Stencil, shall we? For this first card, I used some Forest Glades Metallic Shimmer Spray, and misted a panel of white cardstock rather heavily. I then used the brand new Spring Garden Stencil to apply some embossing paste over the top of a portion of that panel. I purposely applied it in a rather bumpy and texture heavy way - not in a smooth finish. Once that dried, I also added some splatters with Antique Gold Metallic Ink Spray, then matted the panel in a bit of white cardstock and mounted on a kraft cardbase. 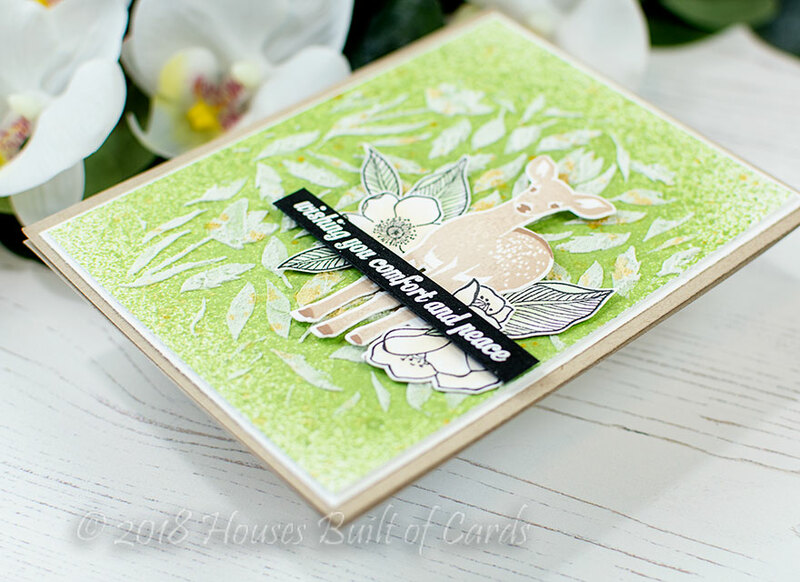 Finally, I added a bit of a focal point over the texture I had created by stamping the lovely Modern Deer Stamp set in several Altenew layering inks, then die cutting with the coordinating dies. I also stamped and softly colored some flowers and leaves from Adore You Stamp Set, and cut those out as well. Finally, I heat embossed a sentiment from Heartfelt Sentiments Stamp Set on a strip of black cardstock, then I arranged all those elements in place and adhered with a mix of foam tape and sturdy Scor Tape (which adheres well to the embossing paste!). For this one, I applied a fun combo of Altenew inks over the stencil on a panel of white cardstock, then flipped the stencil over and applied the same colors again. This gave a kind of angled gingham pattern to my background - fun! 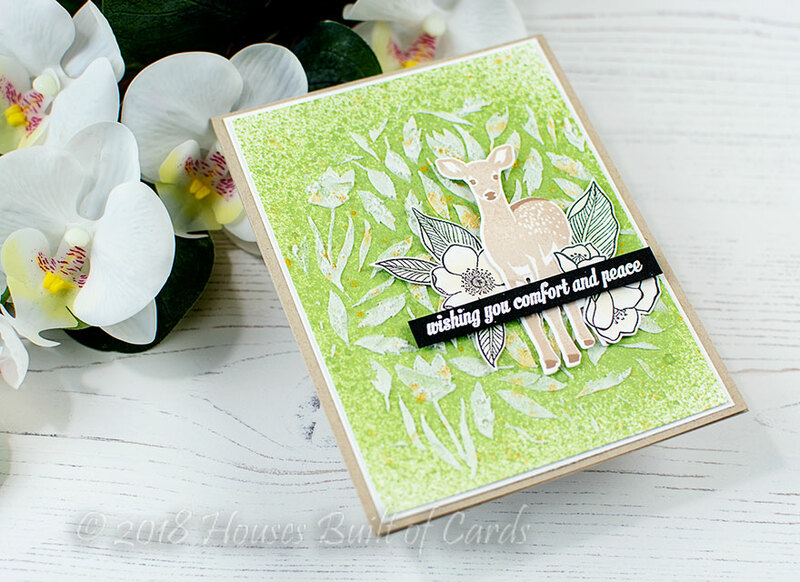 I then stamped a sentiment using a mix of Halftone Hello and Heartfelt Sentiments, then added some florals using Floral Shadow Stamp Set, then mounted on a white cardbase. Similar to the first card, I added some spray mist to a panel of white cardstock - this time using Coral Berry Metallic Shimmer Spray - but kept it heavier across the top of the panel. Again, I applied embossing paste over the top, but this time went for a more smooth surface on the paste. 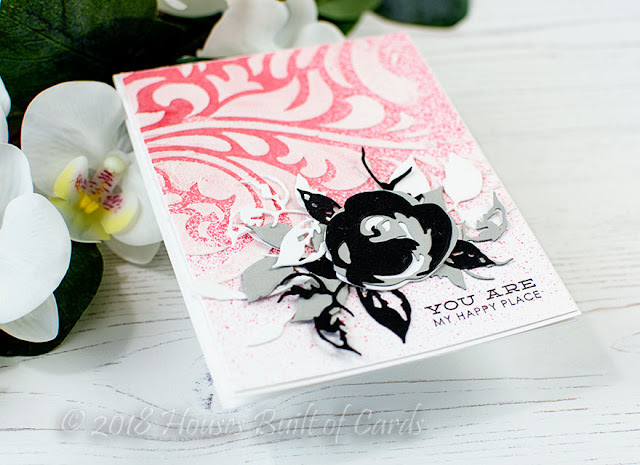 While that dried, I cut out several layers of the Rose Flurries 3D die set from white, gray, and black cardstock. Instead of layering them directly together as they were designer (and look fabulous too!) - I went for a more whimsical and freestyle design. I layered out lots of the different layers until I was happy with the arrangement, then picked it up with some Press and Seal (using Jennifer McGuire's trick), added adhesive to the back of it, then placed it on my cardfront. I used a clear stamp block to hold it all in place until my liquid adhesive dried enough to hold it firmly. Finished off this card by stamping a sentiment from Sentiments and Quotes stamp set and mounting the panel on a white cardbase! For this card, I tried out a completely different technique for a more modern feel. I placed my stencil over a panel of white cardstock, then used an embossing ink pad to press all over the top. When I removed my stencil, I was then able to sprinkle on gold embossing powder and heat set the entire panel. Hard to capture in the photos how rich and beautiful this background is - but this photo shows it a bit! Finished off by adding a sentiment by die cutting the large thanks from Script Words 2 Die Set twice from white cardstock, and once from black. I layered those together, then added a heat embossed sentiment on a strip of black cardstock from Heartfelt Sentiments Stamp Set. I love all the different techniques you can use stencils for - and there are SOOOO many more as well! What is your favorite way to use stencils? Which is your favorite of the new release? Make sure and head over to the Altenew Scrapbook Blog as your next stop today! To celebrate this release, Altenew is giving away a $50 gift certificate to six lucky winners. Please leave a comment on the Altenew Card Blog and/or Altenew Scrapbook Blog by 7/12/18 for a chance to win. Winners will be announced on the Card Blog and Scrapbook Blog on 7/15/2018. In addition - I will be choosing a winner from comments left on my blog to win a $30 gift certificate to Altenew! Winner will be announced on my blog on 7/11/2018! Beautiful cards. Love the stencils and all your colors you chose. Thank you for sharing! Your cards are all amazing! What you did with the molded lines - Genius!!! That embossed stencil background!! WOW WOW WOW! 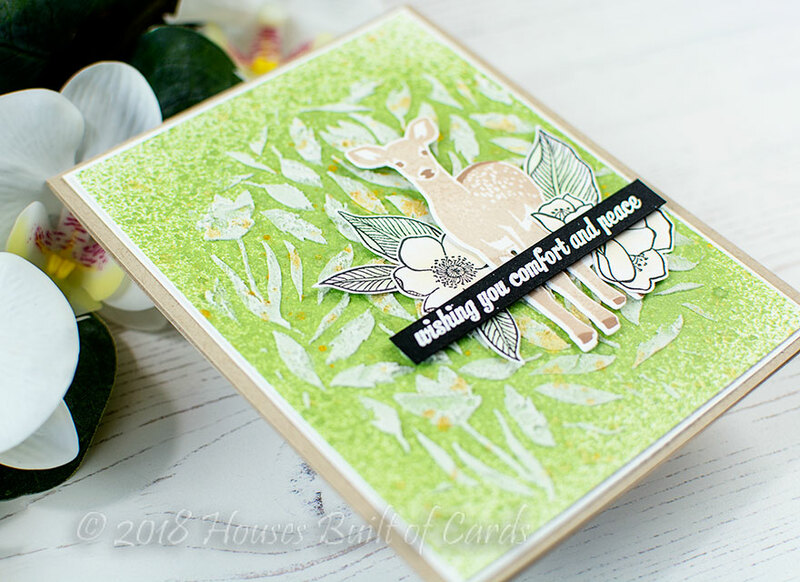 Lovely techniques on the deer card! Love it! Wonderful cards! I love the rainbow stripes!! So many beautiful cards today! I love them all. Really cool ideas! Love how you made the angled gingham pattern from that stencil. Beautiful cards! You have such a unique style! Gorgeous cards. You really highlighted the versatility of stencils. Thanks for sharing your creativity and inspiration. 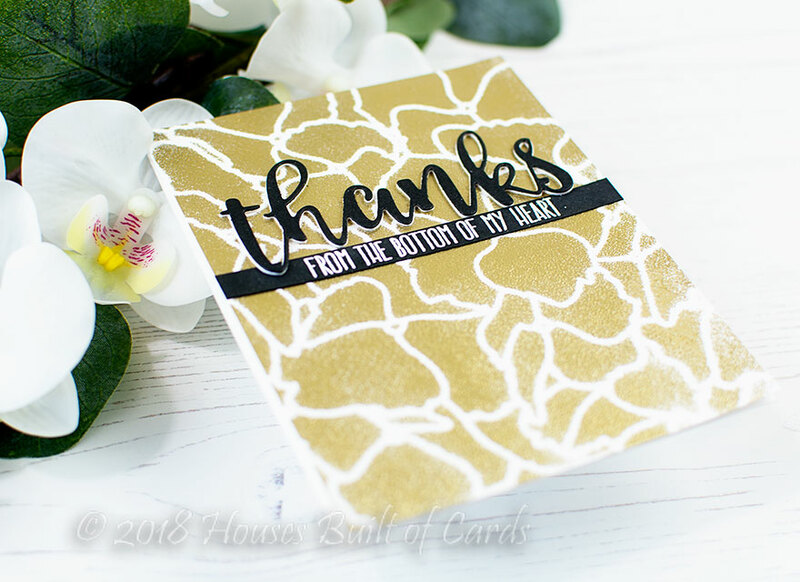 I loved all of your card samples.....but one stood out for me.....the way you used the Molded Lines stencil...by flipping it.....awesome!!!! I have it in my cart already at AlteNew.......thank you so much for the great ideas!!! I really like your card examples. I love the mega hydrangea stencil. Your cards are stunning! I love the city scenes stencil and the large hydrangea stencil as my top choices, thus far. I love to use various color mediums through the stencils and of course, embossing paste to create texture! All of these stencils are so beautiful... I love the garden one, really cool with the paste. Nicely done. Great cards and ideas too! Your cards are beautiful ! When I first saw the 4th card, I thought is was glitter paste... your idea of the embossing is really awesome. Such a sweet card with the deer!! Love your stenciled backgrounds on all your cards!! Beautiful cards! I have never tried embossing with a stencil. Can't wait to give it a try. Thanks! wonderful cards, Heather - especially love the first card with the little deer and the pretty green background! Great cards thanks for the inspiration! Such beautiful cards! Love the bold look of your molded lines stenciling with the stamps that really make a statement. I also like the elegance of the gold for the hydrangea stencil. And that deer is adorable! made your own plaid with the molded lines stencil. Love these cards. They are pretty. Wonderful cards! My husband would really like the deer but I think my fave is the elegant Swirls. I love the floral dies and the way you arranged them. Great cards!! I love your last gold embossed one the best! these cards are all amazing! Love the new stencil release. These are such beautiful cards! I like the elegant swirls and mega hydrangea cards! I love using shades like the black, grays and whites against colours! This looks so sheek especially with the stencil. Thanks for the inspiration! Beautiful cards, Heather! I LOVE the way you've put the focus on that sweet little deer! Charming! You really know how to showcase these new stencils. Love all of your cards, and thanks for turning me on to the Modern Deer Stamp Set that I had somehow missed. It's on my list now. All four of your cards are beautiful, but that last one is over the top! Thanks for sharing such good ideas! The Hydrangea Stencil is a new fave - love how you used it!! Love the curved line stencil card. It is so colorful and you turned it into another pattern. Awesome cards. I love the whimsy of the woodland scene, unexpected but so pretty! Nice cards. I see you have a bit of black on each card. It surely pops. Lovely cards. I love how you used the stencils to depict nature or abstract backgrounds on the different cards. They seem to go with every design idea. Your cards are all fabulous. I love how you used the Molded Lines Stencil, turning it in many directions. The background was terrific. Thanks for the inspiration. Fabulous cards. Love the one with the deer. The deer card with the partial stencil done with texture paste is amazing. You really captured the feeling of the outdoors. Your cards are beautiful, you have used the stencils magically! I love the embossing paste....WOW!!! Oh and the gold ink splatters--they always make me happy! Your deer card is lovely. What a wonderful beautiful way to enhance that background. it looks like the deer is peeking through the woods. just beautiful. Your cards are all fabulous! My two favourite stencils are the Mega Hydrangea & City Scenes. Feeling Dotty runs a close second. I love the gold embossed card, what a great way to use practically any stencil. Little works of art, Heather. Love that gold. Love the molded lines cards. That pink is killer! I LOVE what you did with the molded lines stencil! So cool! Great job! Excellent use of the stencils! Love all you did with these lovely stencils. That deer! Love it! And definitely love the black on bright colors. Amazing! Love the new stencils, you did a fab job showcasing them, thanks for the inspiration Heather! FANTASTIC CARDS! ABSOLUTELY GORGEOUS color combinations used in making each card! And the uses of stencils also in each is AMAZING!!! Great cards! 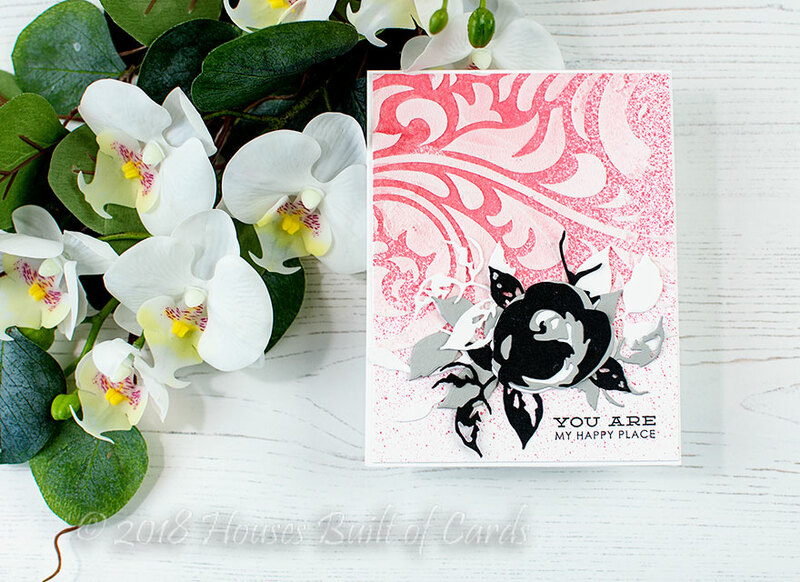 I love how you completely embossed the hydrangea stencil; it's so elegant looking! I've only used inks on my stencils, but I'd like to try some different mediums. My favorite stencil from this release is the Flowing Dots stencil! All four cards are so lovely and I do love the different designs and mediums. My fav is definitely the deer with the spring garden stencil. Such a pretty scene and a wonderful sentiment. Gorgeous! 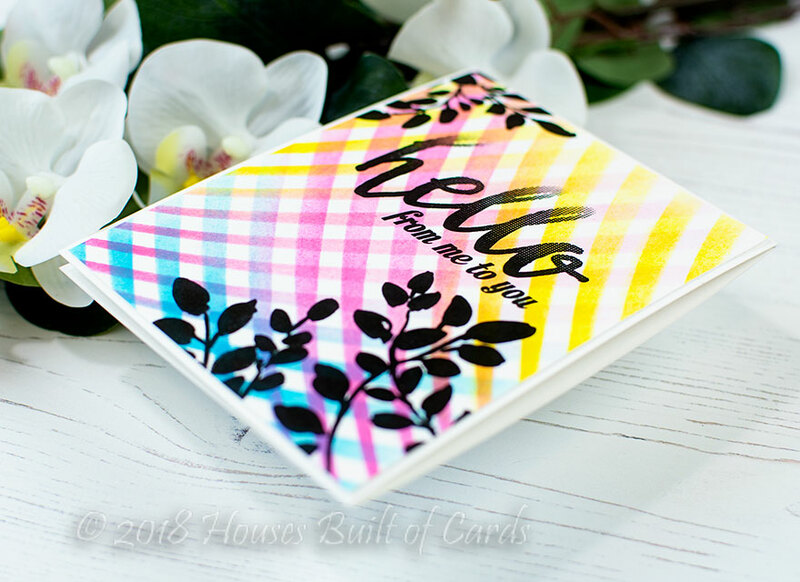 Love your rainbow background with the swirly gingham pattern. Love your cards. Your backgrounds are all just beautiful. Fantastic creations using a lovely set of stencils! I love this release!! 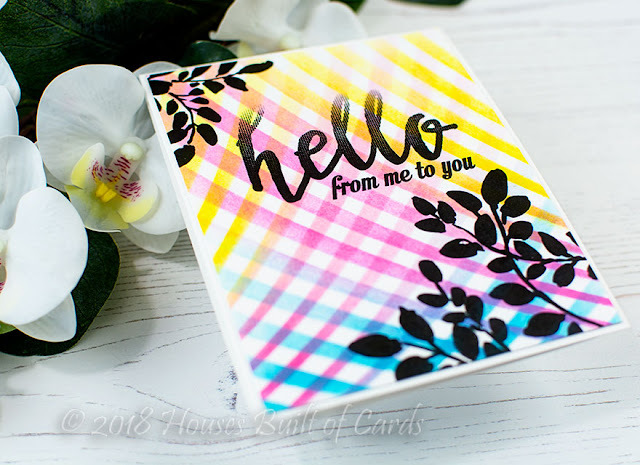 Beautiful cards and I love the way you used the stencils! The gold one is so pretty! These are beautiful cards! :) Wonderful job! Such lovely cards - I especially love the cool green background behind the deer - lovely!! Wow.. You've really made some beautiful cards with these new stencils. 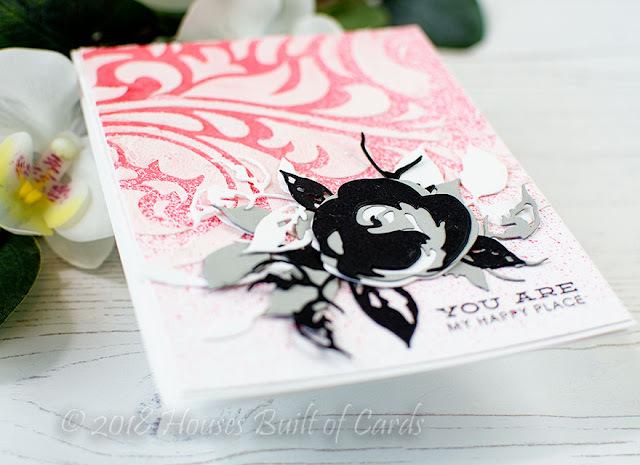 I love the way you use the molded lines stencil to make your card. It really looks neat! Love. Love love your cards with those beautiful stencils! Thanks for sharing. Wow, gorgeous cards! Such beautiful and creative use of the new stencils. Awesome cards! Love what you made with the Molded Lines stencil! Fabulous colors! luv the look you got by flipping the stencil!!! Your cards cover all bases -- sweet, fun, elegant. I love the Molded Lines stencil and I love the unique way you used it. Very nice. Such gorgeous cards. Love the backgrounds you created with the stencils. Your cards are so stunning!! Love the gold embossed especially!! Very beautiful cards. I love the rainbow stencil one the best. The crisscrossing lines look so lovely! Your cards are always phenomenal!. You are one of my favorites to see. 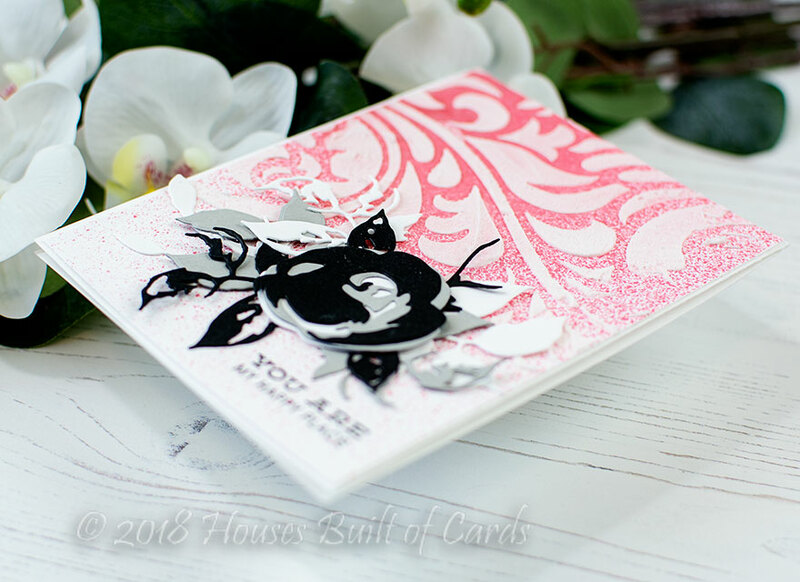 These are a beautiful variety of stencils and your cards are so pretty! You have been a busy gal! I love all these gorgeous creations! The double stenciling on the Molded Lines is so clever!